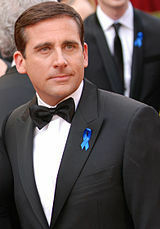 While Steve Carrell as Michael Scott was the star of the US version, Pam & Jim stole a lot of his limelight. Once he left, it's interesting that the show could continue without too much of it's popularity waning. Do you have a favourite character? Who and why? How could you possibly go past Jim and Pam? Perfect couple, and the only sane characters in a crazy show. Although I did stop watching once Steve Carrell left.